The players are locked out. Again. 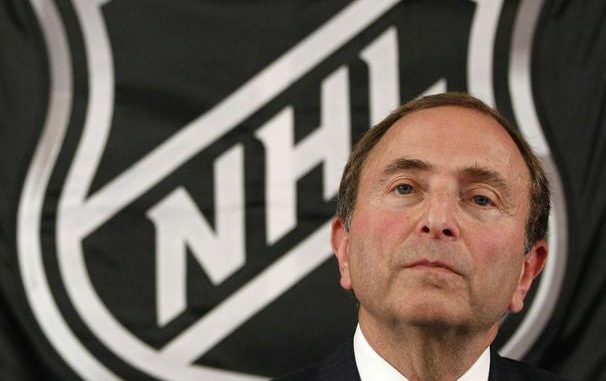 On Sept. 15, the NHL owners declared a lockout on the NHL Players’ Association for the second time in the last eight years and third time in the last 20 years. The NHL has already cancelled a total of 82 games through Oct. 24, and it is becoming more and more likely that the league will cancel its next set of games in the near future. After an offseason that consisted of big name players such as Zach Parise and Rick Nash changing teams, the NHL was set to continue its growth in interest after the drop-off resulting from the last lockout. Annie Haam, Dearborn senior, was not only looking forward to the new look NHL this year, but always looks forward to seeing players of the highest caliber compete together. “It’s magical to watch stars just play a beautiful cross ice pass that no one else can,” Haam said. Sanford, on the other hand, was more looking forward to the environment in which she watches hockey games. With the long-term outlook of the 2012-2013 NHL season unknown as of now, Haam is looking to other leagues to get her hockey fix. Not only are the OHL and college hockey alternative high levels of hockey entertainment, but ESPN recently negotiated a broadcasting deal with the KHL, the top professional hockey league in Russia, which includes broadcasting at least seven KHL games on ESPN3 in October. This will be the first professional hockey broadcasted on ESPN since the NHL parted ways with ESPN after their 2004-2005 lockout. Even with the potential for the NHL to be gone for an entire year once again, Haam said she will not lose any interest when the owners and players reach an agreement. Mike Tolkacz, Novi sophomore, disagrees though. Kurt Miller is a senior from Ann Arbor, Michigan majoring in Mass Media Communications and Economics and Management. He's passionate about all things sports and was a member of Albion's men's soccer team for four years. Follow him on Twitter @ShirtMiller.